Authorities say a Pennsylvania company has recalled about 8,500 pounds of ground beef that may be contaminated with E. coli -- and was shipped to stores throughout the tri-state. The U.S. Department of Agriculture said Saturday that Cargill Meat Solutions is recalling 42-pound cases that were shipped to distribution centers in Connecticut and Maryland and repackaged for consumers, then sold under different brands that have yet to be named. They have a use-or-freeze-by date of July 1, 2010. The USDA says the meat was shipped to eight states along the East Coast, including New York, New Jersey, and Connecticut, and wound up in many BJ's Wholesale Clubs. Two E. coli-related illnesses have been reported in Maine and one in New York. 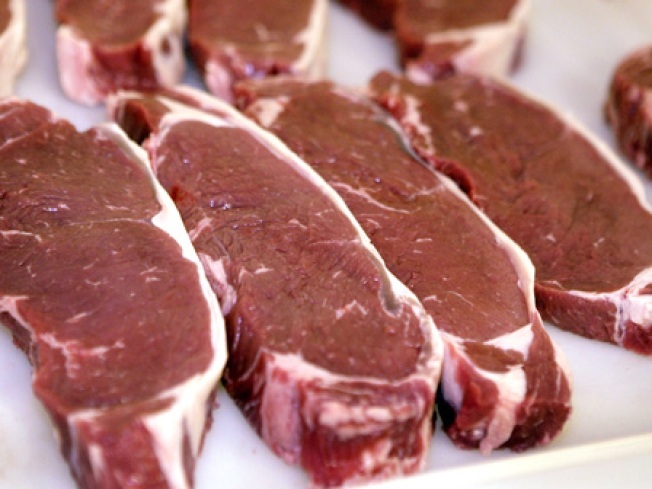 Federal inspectors have tied the illnesses to the recalled beef. E. coli can cause bloody diarrhea, dehydration, and in the most severe cases, kidney failure. The USDA recommends that ground beef be cooked to 160 degrees Fahrenheit to kill harmful bacteria. The full USDA report can be found here.